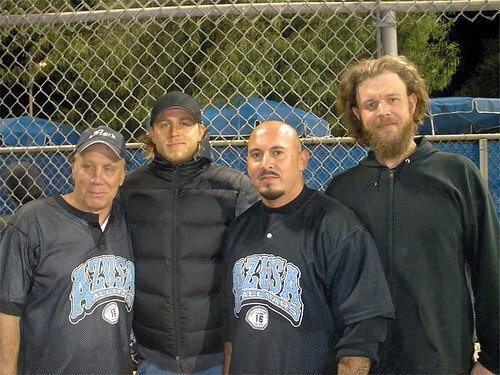 SOA Cast. . Wallpaper and background images in the sons of anarchy club tagged: sons of anarchy charlie hunnam ryan hurst dayton callie. This sons of anarchy photo contains cerca de alambre and vallado enrejada.